People are constantly looking for ways to get themselves into better shape, and companies of all types are constantly looking at ways to provide products to meet this demand. Workout equipment, clothing, nutritional supplements and other tools have been flooding the market for many years now with mixed results at best. Unfortunately, some of these products have proven to be dangerous and have led to consumers suffering serious injuries. Recently, products that have come under scrutiny have been certain types of shoes, and one brand in particular is the Shape-Ups brand that’s managed and distributed by Skechers. Below you will find a brief overview of the problems that have arisen with regards to consumers trusting the quality of Skechers Shape-Up shoes and getting seriously injured as a result. You will also find information regarding the realities regarding taking on a corporation in a legal sense. Anyone who has been injured as a result of using these shoes should seek the help of experienced Skechers shoe injury lawyers as soon as possible. 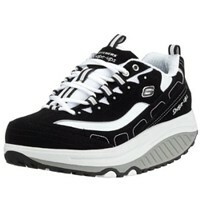 Skechers Shape-Up shoes were released to the market in 2009, and they were unique in terms of their design. These shoes featured a rolling bottom and a raised sole, and the reason they were put together in this manner is because people who were wearing them would be forced to use more muscles than normal while they walked. These muscles included groups throughout the legs and in the core. For a time, these shoes worked well and people did obtain some fitness benefit from using them. Unfortunately, as more and more people began to use these shoes, more and more stories of problems began to emerge. Generally, these problems involved strained tendons and in some cases broken bones and stress fractures because of the posture and gait that these shoes forced consumers to adopt. These unnatural movements led to serious injuries for many people, and some consumers lost their balance using these shoes and injured their heads. Unfortunately, people who have been injured in this regard often feel as though they have nowhere to turn for help. That’s because they tend to understand that corporations have enormous resources that can help them obtain the help of highly skilled defense attorneys and expert witnesses. Consumers who face these situations alone are at a tremendous disadvantage despite the fact that many of them were wrongfully injured. Fortunately, there are laws in place that help to protect consumers, and those consumers who do obtain professional help can level the playing field. If you or someone you love has been harmed as a result of using this dangerous product, you need to seek the help of experienced Skechers shoe injury lawyers who have been holding corporations responsible for this type of harm accountable for many years. Contact Parilman & Associates today to schedule a free initial consultation.